1. What is your elevator pitch – briefly stated, who is HarvardHomemaker? 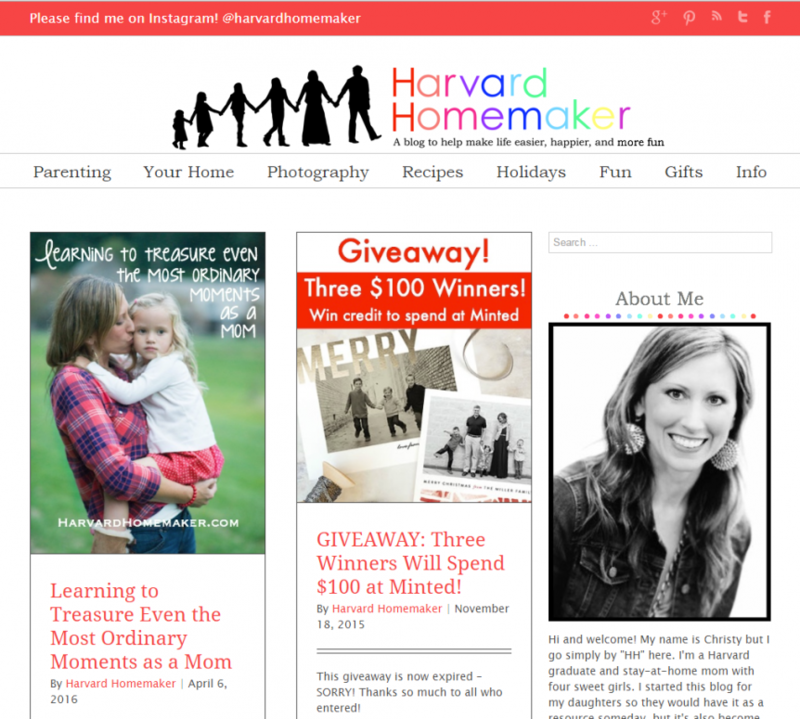 “Harvard Homemaker” is a Harvard graduate and stay-at-home mom to four girls who blogs about ways to make life easier, happier, and more fun. 2. How long has HarvardHomemaker been in business? I have been blogging for just over three years. My site went live in October of 2012. 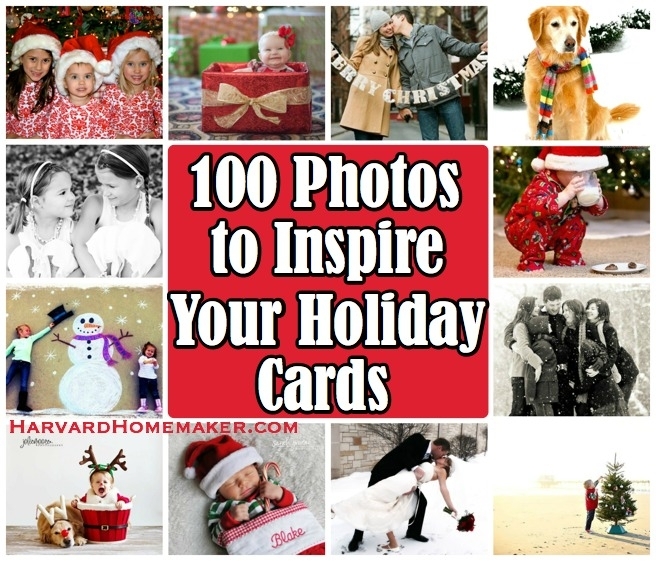 I discovered Pinterest shortly after having my fourth daughter, and I loved all the ideas I came across. 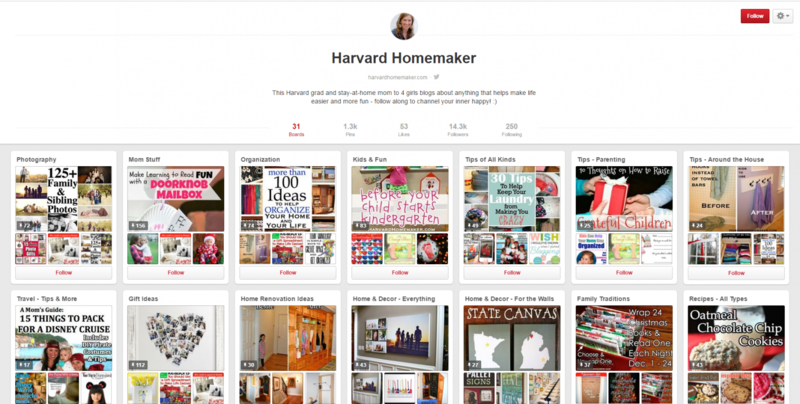 And then I thought, “Hey, I have ideas, too!” The title of my blog – Harvard Homemaker – is my way of embracing the fact that I graduated from Harvard and became a homemaker. I have questioned that choice at various points in my life, but I am more confident than ever in the path I’ve chosen now. 4. 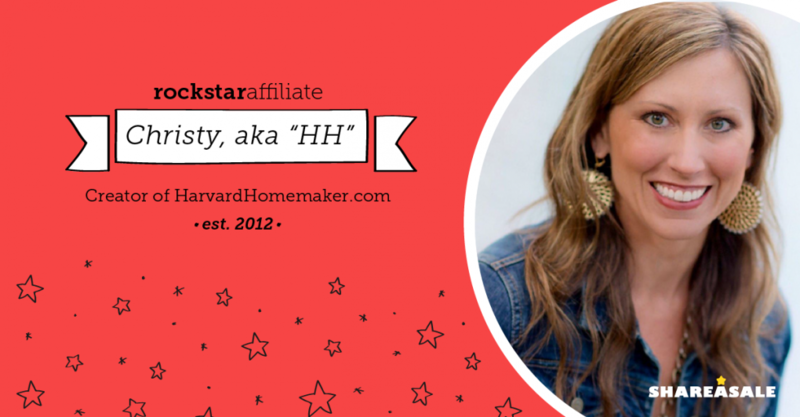 In what way does HarvardHomemaker utilize Affiliate Marketing? I write first and work in affiliate marketing second. I believe I have more success that way because my readers know that my recommendations are sincere – and I’m not just trying to sell them something. I point my readers to sites and products with the best of intentions EVERY SINGLE TIME. 5. What makes HarvardHomemaker unique from competitor websites – specifically in what is provided to the brand through the Affiliate Partnership? 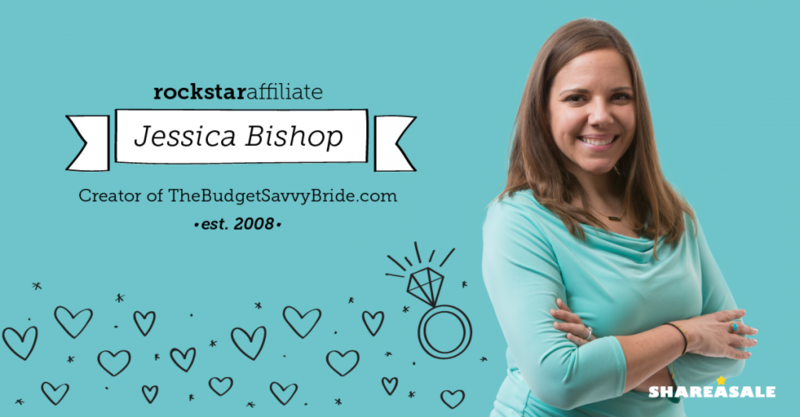 I am very selective about what I promote and what brands I will work with because my readers’ trust is imperative to me… so if I have a partnership with your company, know that it’s because I believe in it. And I will send readers your way with positivity and enthusiasm! I don’t just throw up a post to add new content to my site. My work is articulate, relatable, thorough, and useful. You will be hard-pressed to find a blogger who cares as much as I do about the quality of her content. First and foremost, I have to love your site and your products. If I wouldn’t want to shop there myself, I’m certainly not going to encourage my readers to do so. Of course, the commission rate and the cookie length always factor in, too. I also appreciate when merchants are looking out for those who truly direct customers their way – and take measures to make sure we are the ones who get the commission we deserve rather than a “last click” coupon site. I love to use banners to promote my favorite sites. Banners that are beautiful/well-designed and automatically refresh with changing seasons and deals are the best!! They save me so much time and keep my site looking current. I appreciate being informed of special sales as well – especially those with links and code right inside the email that I can just copy and paste. I also often point readers directly to a specific product – being able to create a custom link is very important to me. I love it when merchants make me feel appreciated. I enjoy receiving personal emails and forming relationships with those who run the affiliate programs. I also appreciate when merchants offer products or discounts to me directly so I can see first-hand how great their company is! 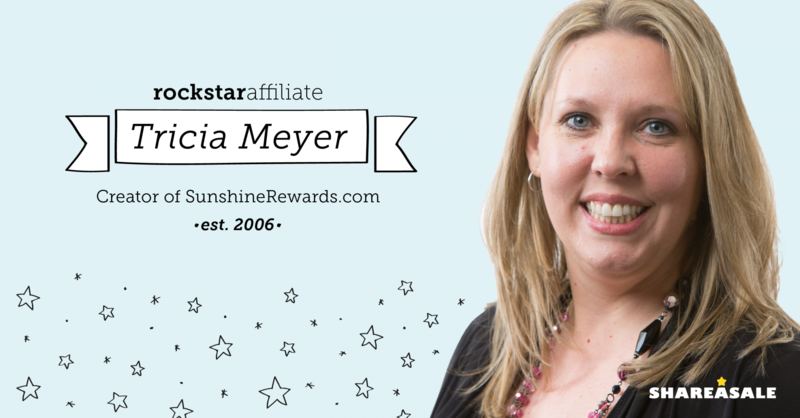 I have also been given a personalized higher commission rate at times – this is huge in making an affiliate feel important! It benefits both sides because it makes me want to promote your company more – and it leads to more traffic, and ultimately sales, for you, the merchant. I hate it when merchants move their affiliate program to a new company. This creates such a mess for us who may have tons of links and banners all over our website that now need updating. As a hands-on mom with four kids who runs her website by herself, I don’t have the time to fix things like that – it’s hard enough to find the time to post new content! So typically, the partnership I had with that merchant just fizzles. You have to REALLY think it’s worth your while to move your program – that is no small deal to an affiliate. And to be 100% honest, there is no better company to work with than ShareASale anyhow – so just stick with them! :) As an affiliate, I LOVE their user-friendly interface, their trustworthy real-time links, their reporting system, the companies in their database, how easy it is to create custom links, all of it. 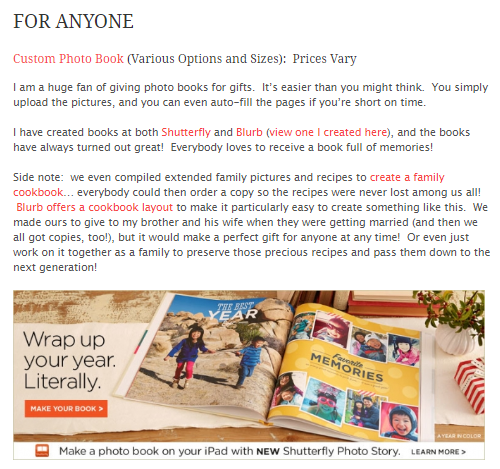 I try to work with ShareASale almost exclusively because it just makes my life so much easier. 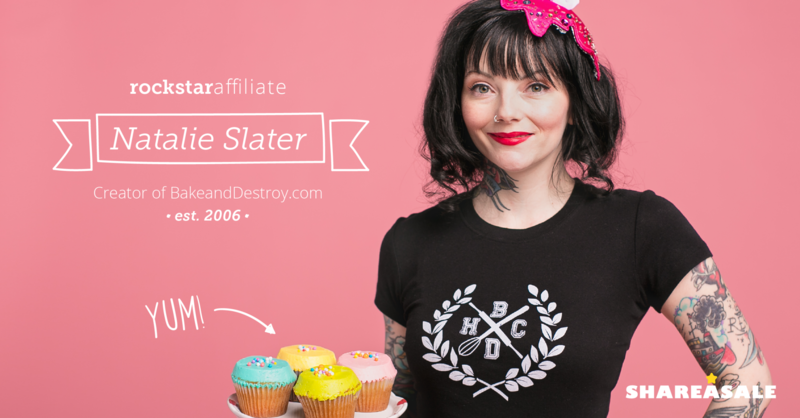 Are you looking to recruit more Affiliates like these? Email us to learn more about the Recruitment Tool! 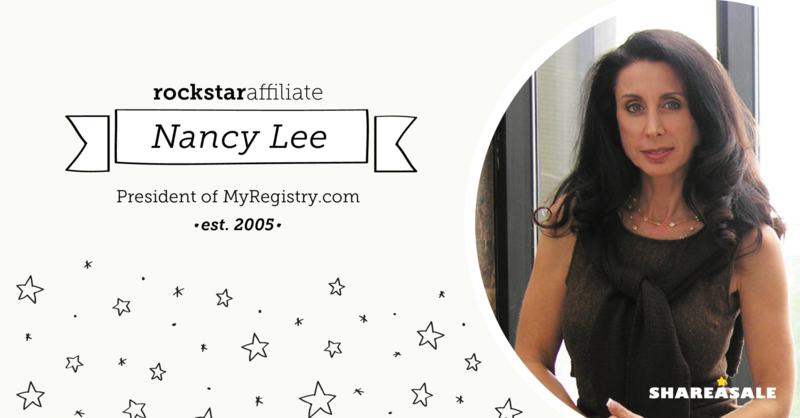 Affiliates, do you think you have what it takes to be a RockStar??! Email us!